Joining us is Steph Nissen, Executive Partner and Director of Digital at Atomic Revenue. 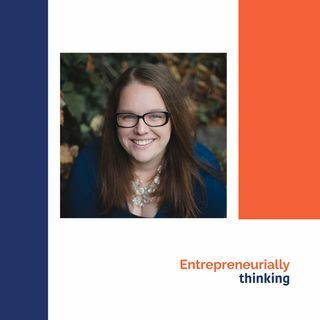 She manages the company’s digital marketing programs including social media, web development, search engine optimization, content marketing, and graphic design. Atomic Revenue grows small to mid-size businesses through Revenue Operations. Steph has worked in corporate America as well as in the start-up culture. She has worked on campaigns for big brands including Toyota and TJMaxx as well as small business and solopreneurs in every industry. - How Steph became a part of the digital marketing world. - What it means to be digital in marketing. - The difference of the digital marketing mindset and approach compared to previous marketing generations. - How to understand SEO. - What are the blind spots of many business owners? - What makes for effective content? - What is necessary with data? What’s relevant? How do we find the golden ticket for success? - What are the trends? What’s next? What’s out? - Hacks for the entrepreneur. - Steph has a life outside of the fast-paced, highly-connected digital world. How does she manage it all?